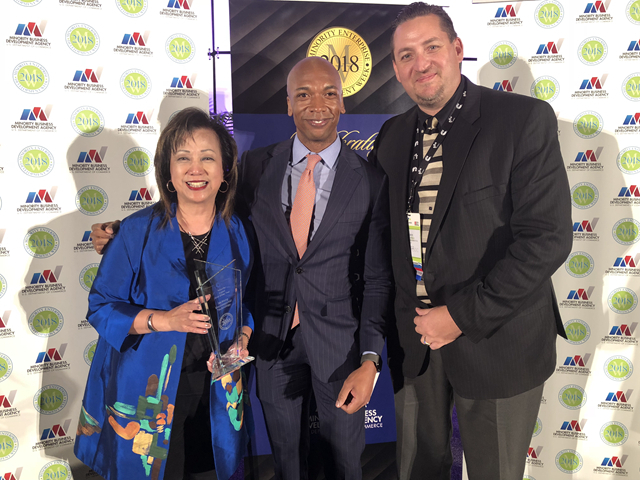 AUSTIN, TEXAS – On Oct. 17th, 2018, California Center Founder and CEO Margaret Wong accepted National Minority Export Firm of the Year Award from the U.S. Department of Commerce – Minority Business Development Agency (MBDA) on behalf of our sister company, McWong Environmental Technology during National Minority Enterprise Development Week in Austin Texas. 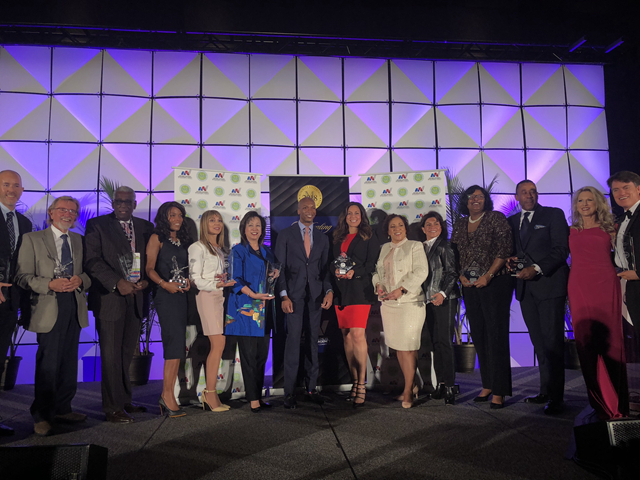 The National Minority Business Award is the highest level of national recognition that a U.S. minority-owned firm can receive from the Department of Commerce. These prestigious awards, presented during National Minority Enterprise Development (MED) Week October 14 – 20, celebrate the outstanding achievements of minority entrepreneurs, as well as the individuals and organizations that have demonstrated their commitment to advancing minority business enterprises. 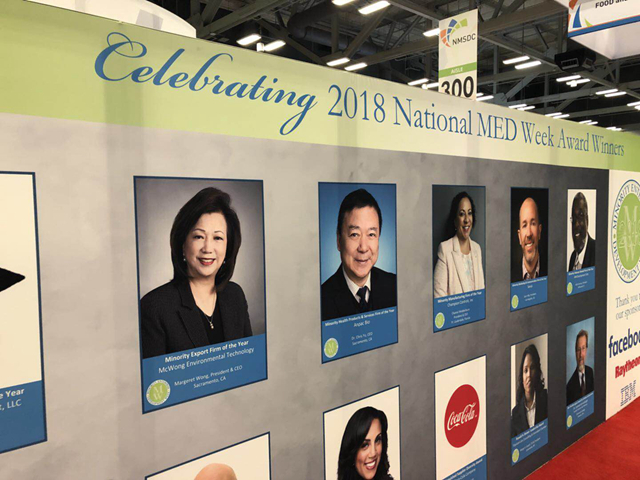 Founded by Margaret Wong in 1997, McWong Environmental Technology has been a U.S. export champion, completing numerous projects in China and the United States, while investing more than $600 million in global and local communities on labor, goods and services.